Company INDIA / TPF Engineering Pvt. Ltd.
Consultancy Service for Independent Engineer (IE) for construction of 12.9m wide bridge between Dhola & Sadia Ghats along with 2 lane connecting roads from near about Dhola to Islampur Tinali in Assam Bridge Projects under Arunachal Pradesh Package of Roads & Bridges of SARDP-NE on BOT (Annuity) Basis. 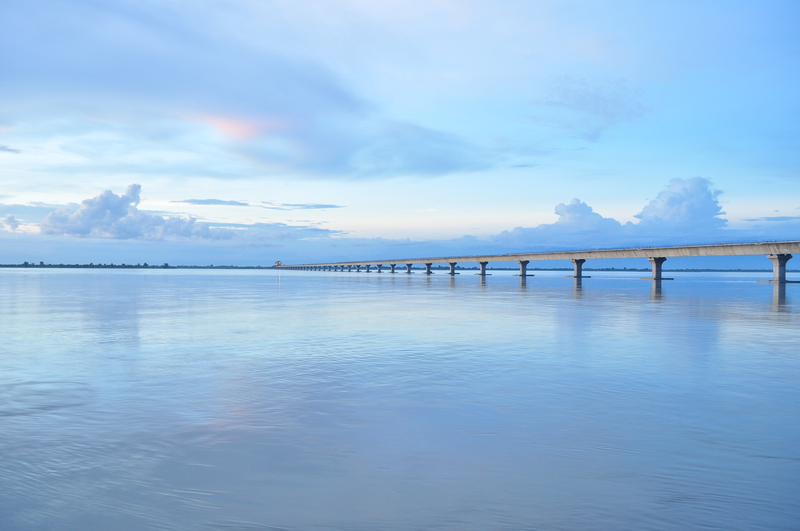 The project highway aims at constructing 12.9m wide bridge between Dhola and Sadia Ghats along with two lane connecting roads from near about Dhola to Islampur Tinali in the state of Assam. The project stretch lies in the district of Tinsukia. The construction of the package includes developing the existing single lane road on the Sadia side to double lane standard with paved shoulder. The existing alignment of the approach on the Dhola side of the bridge does not conform to the NH standards. 4. Piles (1700 mm dia) 324 nos. 5. Piles (1500 mm dia) 412 nos. 6. Pier and pier caps 184 nos. c) Number of segments per span 15 nos. d) Total number of segments 2745 nos. e) Number of typical segments 1830 nos. f) Number of pier segments 366 nos. g) Number of deviator 1 segments 183 nos. h) Number of deviator 2 segments 366 nos. Construção Participativa do Plano de Gestão de Espaços Públicos do Programa Parque Várzeas do Tietê – PVT. Élaboration participative du plan de gestion des espaces publics de Parque Várzeas do Tietê - Programme PVT. Participative construction of the Public Spaces Management Plan of Parque Várzeas do Tietê - PVT Program.